One of the things I’m not very good at when it comes to writing is choosing names. I can spend hours, days, longer even, playing about with all kinds of names, trying to find the right one for each character. Then there’s the headache of making sure all the names are appropriate for the ‘world’ of the story. 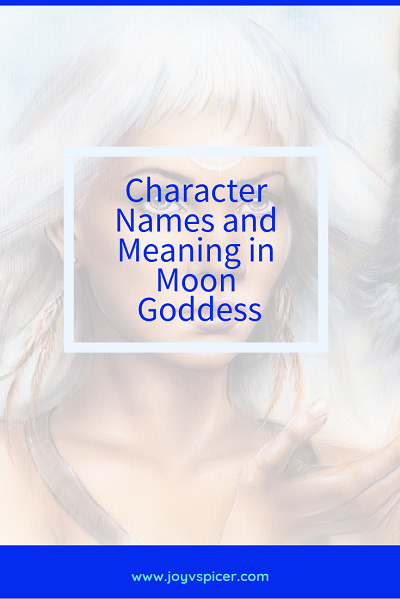 Once I decided that the world of ‘Moon Goddess’ was going to be similar to medieval England, I realised I had to be extra careful when it came to choosing names. It wouldn’t do any good having characters running around calling for ‘Jax’ or ‘Lexie’. I ended up getting the names from a book of baby names I had before Gordon was born. What I liked about it was it gave the meanings and origins of each name. Good excuse to make a list! I then chose ones that were mainly Old or Middle English. Whether you’ve already read the book or not, I hope this adds to the experience. ‘Moon Goddess’ is available from Amazon US and UK (Kindle and paperback); digital versions are also available on Nook, Kobo and iTunes.